The Shehbaz-led Muslim League-Nawaz (PML-N) appeared as the Punjab Assembly’s biggest party in the general elections 2018 in the country, Shehbaz Sharif said. The top leadership of the party met in Punjab’s Lahore to discuss the party’s strategy regarding the results of the July 25 elections and also decided to present their reservations and proposals at the so-called All Party’s Conference on Sunday. 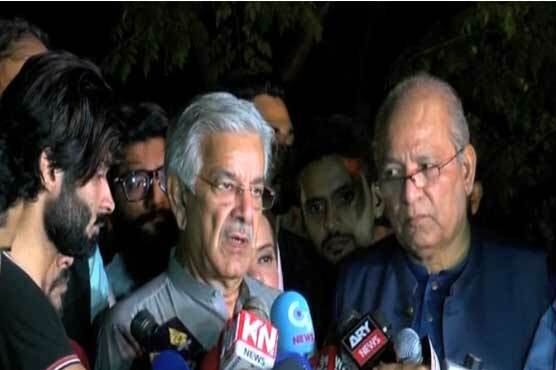 Former Federal Minister, Khawaja Asif said, while talking to media, that Pakistan Muslim League-Nawaz (PML-N) wanted a judicial commission to the investigate the whole election situation and the commission comprised of non-PCO judges. Former Federal Minister for Interior, Ahsan Iqbal said that the elections 2018 became controversial and PML-N would decide on oath-taking after the consultation with the major opposition parties of the country.